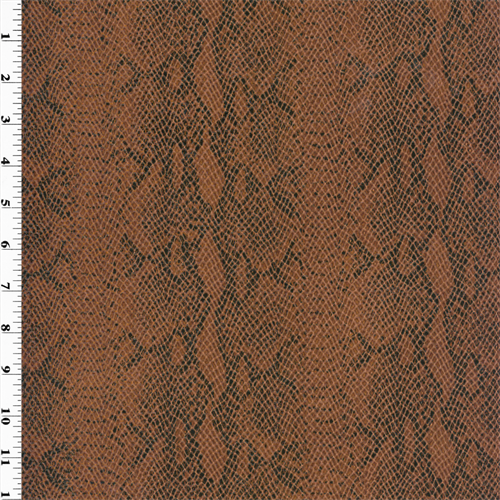 This faux leather fabric has an embossed snake skin texture to its surface and is ideal for upholstery use in items like sofas, cushions, headboards, and ottomans. Also good for apparel in items like jackets, shoes, and accessories. Made of Vinyl with Polyester Brushed Tricot Backing.